The EUROCOM M4 Ultraportable High Performance upgradeable laptop is the ultimate tool for students and professionals alike due to its ultra-portability, performance and capability. Equipped with NVIDIA GeForce GTX 960M graphics, socket based Intel Core i7 Extreme processors and a 13.3” 3200x1800 display packed into a svelte 2kg, 1.2 inch thin chassis. Students and Professional Educators can save by choosing Linux based operating systems for the EUROCOM M4, combined with a 10% discount as part of the Eurocom Education Program. 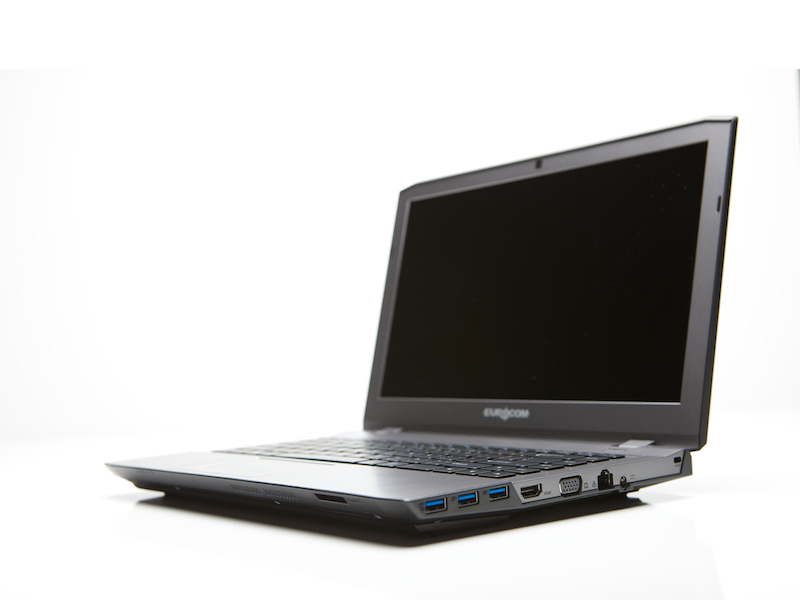 The EUROCOM M4 supports a variety of operating systems including Windows 7, Windows 8 and Linux based Operating Systems. “Eurocom developed the Education Discount to make it easier for Students and Educators to get the High Quality, fully upgradeable Eurocom laptops like the M4” Eurocom President, Mark Bialic. Eurocom is now shipping the M4, high performance, upgradeable, small and lightweight notebook preloaded with Linux Operating Systems, such as Ubuntu, Mint, Debian and Fedora along with Windows 7 and 8. With Ubuntu or Mint, users become part of a massive, open source community that provides support through millions of other fellow users. Purchasing through the Eurocom Education Program gives students the equipment they need to achieve their greatness. “The EUROCOM M4 is being used at leading Universities and Colleges around the world by students and professionals alike. They are attracted to the EUROCOM M4 because of its outstanding combination of performance packed into such a small portable package. Just slip the EUROCOM M4 into your purse or book bag and have a mobile supercomputer to conquer your daily tasks.” Mark Bialic, Eurocom President. Weighing just two kilograms and being 1.2 inches thin makes the EUROCOM M4 extremely easy to carry and transport, with no need for a power cord due to the 300 minutes (5 hours) of battery life. The 5,760,000 pixels of the 13.3” EUROCOM M4 3200x1800 QHD+ display are powered by the NVIDIA GeForce GTX 960M graphics with 2GB DDR5 VRAM, 640 CUDA Cores, with a GPU core able to run at up to 1097MHz +boost. Powered by a full line of 4th Generation Intel Core i7 processors utilizing the Intel HM87 Express Chipset including the Intel Core i7-4940MX Processor Extreme with 4 cores and 8 threads running at 3.1 GHz (up to 4 GHz max turbo frequency) with 8 MB L3 cache. Up to 16 GB DDR3-1866 SODIMM memory is supported via two slots with 8 GB modules that are easy to access, upgrade or replace yourself. For gamers, students and professionals alike that are on the move, security is essential to keep important data and intellectual property out of unwanted hands. The integrated Trusted Platform Module 1.2 from Infineon Technologies ensures that digital certificates, passwords and keys are made more secure from software attacks and physical theft. TPM provides the ability for a computing system to run applications more secure and allows secured remote access to perform electronic transactions and communication more safely. The increased security, brought on by the TPM 1.2 can save individuals and organizations in IT management and Intellectual Property costs. The EUROCOM M4 offers a wealth of storage options, with support for two mSATA SSD drives and one 9.5 storage drive bay. Being fully upgradeable the drives are all very easy to access so customers can easily add more storage after purchase by themselves. A sleek, silver light illuminates the keyboard of the M4, hinting at the power held within the aggressively designed chassis. Overall, the M4 support English, French, German, Italian, Spanish, Portuguese and Russian keyboards. Eurocom ships to customers all over the world, which is why we offer such a wide variety of keyboard languages.